Of course not as beautiful as you! But, Bridesmaids are often your best friends and they deserve to look the ‘second best’ on your special day. 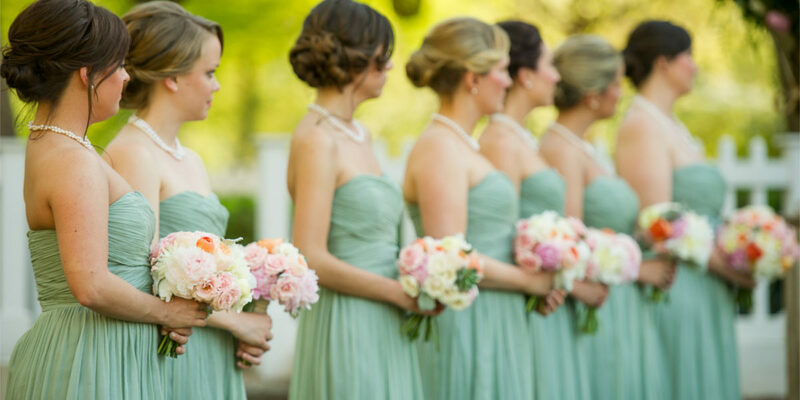 The design and colour of the bridesmaid dresses should match the colour scheme of the wedding. With Fashion Weeks giving us a lot of choice in terms of color trends, we have here a list of top 10 bridesmaid dress colours to choose for your favourite gals. The pastel shades are always the soothing choice for looking sophisticated and elegant. Romantic, sweet and charming, the colour will surely match well with all your bridesmaids and will positively complement any wedding theme. The pastel peach is another beautiful shade that will bring out the life and colour on your best friend and your wedding. A shade lighter than peach, the colour is definitely a must try if you wish to go for vibrance while keeping the look simple and subtle. If your wedding is full of energy and spirit keeping the bridesmaid dresses low toned is certainly a suitable alternative. Neutral shades are perfect to get the sun-kissed glow while maintaining a natural and minimalist look. As greenery is an element present at all the major weddings, incorporating it in the bridesmaid dresses will definitely accentuate the natural theme. Available in a variety of designs and shades, green will help to bring the warmth to your special day. If you ask us to tell you one colour that will be perfect for all seasons, it will definitely be teal grey. Minimal and clean, the colour is easy to carry and, pair it with different accessories. Cool and pleasing, the yellow cream is one colour to choose if you are aiming for a casual and close circle wedding. Also, the colour with its light grace and charm is absolutely perfect for a beach wedding. Extending on the pastel palette, light blue or the Tiffany Blue is one colour that holds the potential to make the wedding day look relaxed and comfortable. If your wedding is planned in an open setup, this light blue shade will complement the colour of the sky and also look effortlessly cool on the bridesmaids. Coffee brown is another colour that is a close cousin to the neutral colour palette. 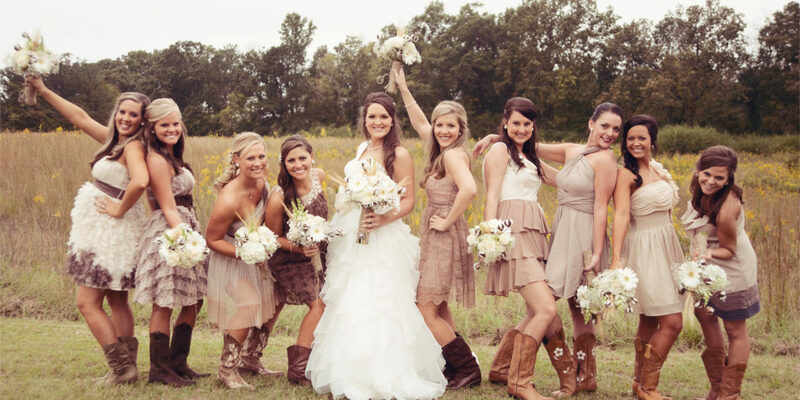 Coffee brown, when teamed with green, can change the complete presence and look of the wedding and your lovely gals. Blush pink works well for all wedding seasons. The colour when balanced on a light and airy bridesmaid dress gives the impression of a warm and breezy outdoor affair. Bling is definitely one of the favourite trends this season and you can certainly add this to your wedding with the sparkly yet classy bridesmaid dresses. 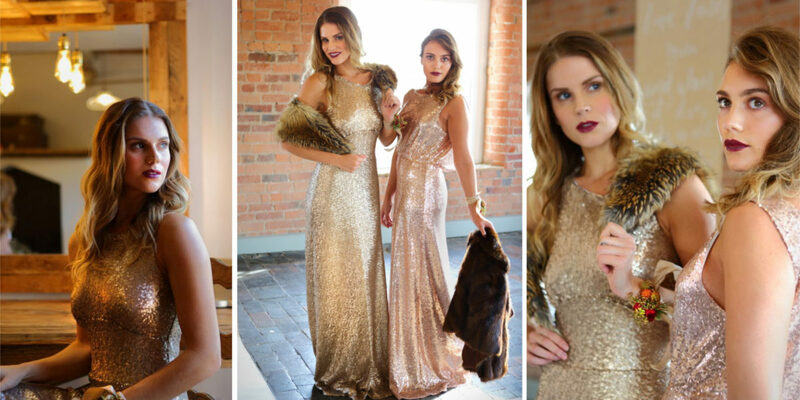 Go for gold shimmer knit dress which can be worn by the bridesmaids all year long for an evening or winter wedding event. 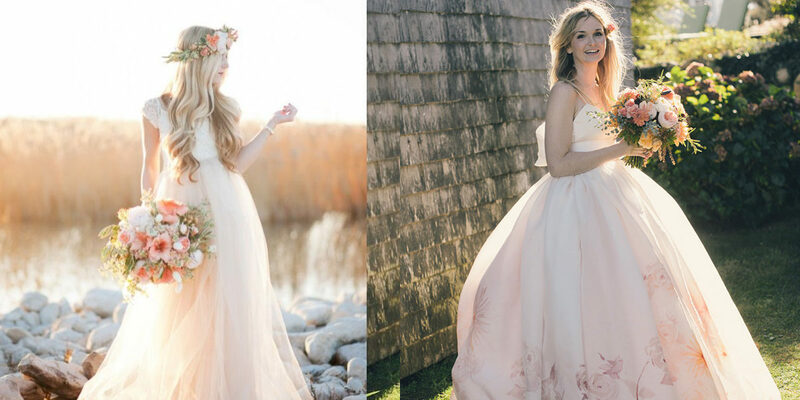 Whether you go for neutral or glamorous, these trending colours will definitely add the perfect charm to your bridesmaid’s dresses and subsequently to your wedding moments.